Start in the corner when you begin stacking wall. Foundation Walls, also called Frost Walls or Stem Walls, transfer the weight of the building from grade to the footing. To ensure the stability of the building, foundation walls must rest on a footing that is situated at or below the frost line for your region. This will prevent the soil that the walls are resting on from “heaving”, causing cracks and misalignment. 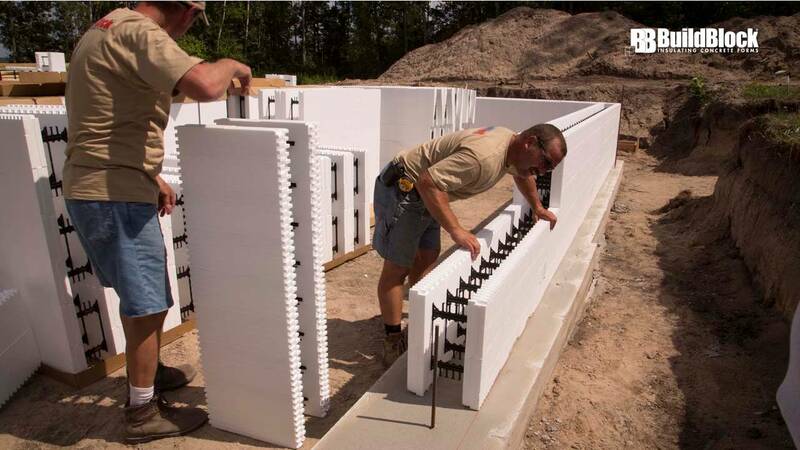 With ICF walls, typically the foundation walls are extensions of the 1st-floor walls and are laterally supported by the floor system. The floor system may be poured inside the foam and “float”, or it may be poured such that the concrete of the floor and walls are joined, either poured at the same time or with a cold joint and dowels. The foundation is used anywhere there is a minimum depth for the footings, as required by local codes, or where structures require additional attachment to the ground for wind or other forces acting against them. Common frost depths in the US range from 12 inches in southern states (some with no requirements for frost) to 4 feet in more northern states. Canada and Alaska have even deeper frost lines. Place horizontal reinforcing as specified. Reverse corners each course to create a running bond layout. In areas with volatile soils, meaning the soils expand and contract with temperature or moisture content, it may be necessary to place piers below the footings or foundations. In areas sited directly over rock, a footing may be unnecessary, and the foundation can be placed directly against the rock, and have rebar or other reinforcing steel installed by drilling and driving it directly into the substrate. Having an insulated foundation serves a number of purposes. It will help to keep the soils placed inside of the foundation wall from freezing, and eliminates any frost heave against the floor. It will also reduce the heat loss through the floor and into the soil as a heat sink, and help to prevent water and drain lines from freezing in the winter. Basement walls also act as a foundation wall, by transferring the loads as before. A walkout basement, however, may have a foundation wall placed below the frost line at the walkout area, and for a certain distance back as the grade rises, to ensure the footings remain below the frost line. These foundations may also be stepped to match a stepped footing. 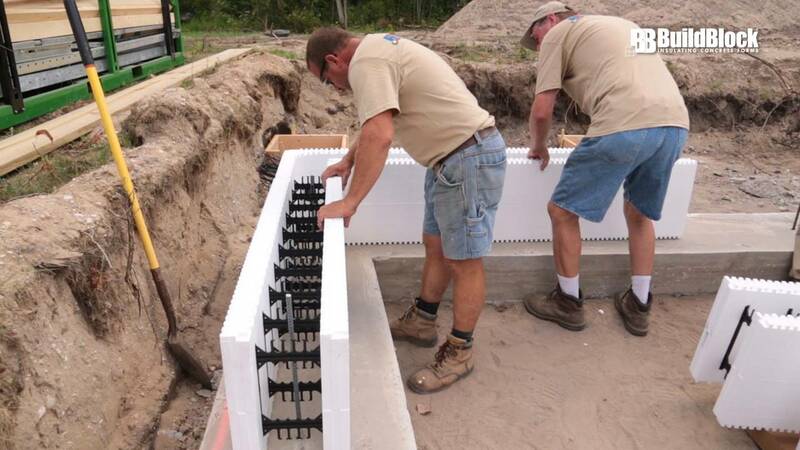 You may also see a footing at the basement level with a Sonotube or stacked ICF wall extending upwards to another footing situated at frost depth, and extending away from the basement, to carry the end of this foundation down to the lower level with undisturbed soils.